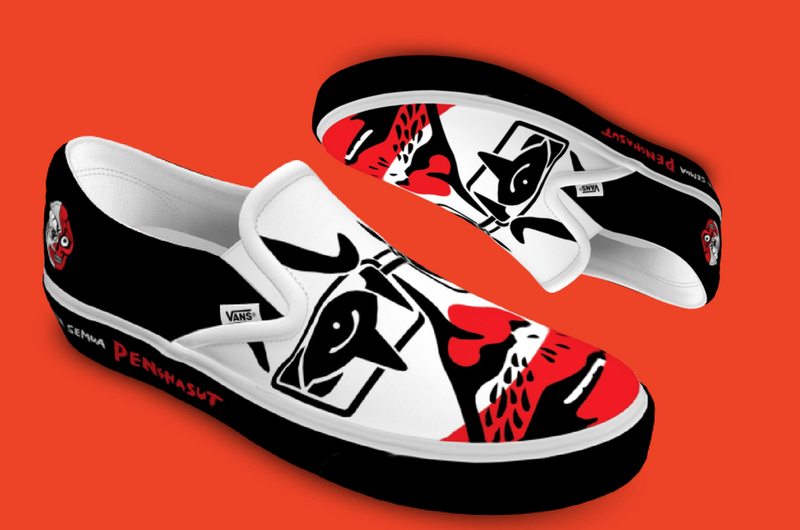 Fahmi Reza's New Creation Is Hot In The Vans Asia Custom Culture Competition! Can We Buy It? Now that’s a nice pair of shoes right? As most of us are familiar with the famous Najib’s clown face art that’s been spreading throughout the empty wall space in Malaysia, we might find his art in a new area that we can literally slip it on our feet. Najib’s clown face art is now in the running for Vans Asia Custom Culture Competition and it’s currently the highest vote in the competition! 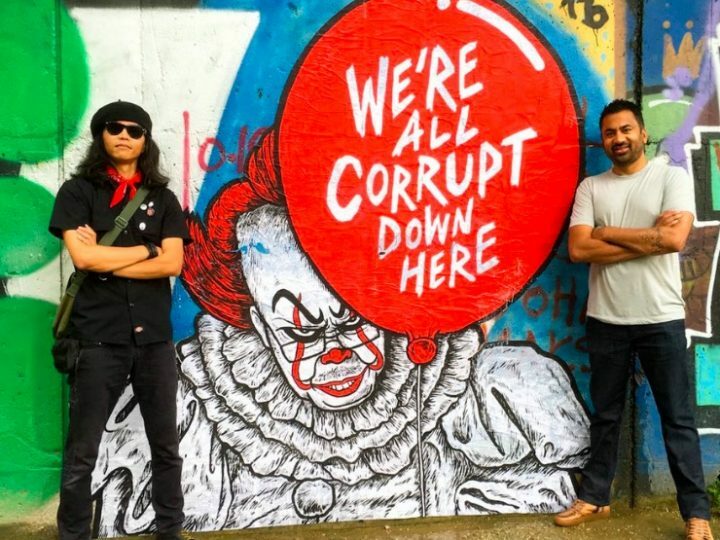 The artist who’s famous for the clown art is Malaysian punk-activist, Fahmi Reza, who submitted his entry at the very last minute, before the closing submission, and within eight hours, his design receive the highest vote in Asia. Although he has the highest number of votes, Fahmi’s design may not necessary be selected as one of the designs that will be shortlisted for the next round. Vans will be selecting a total of 10 local submissions for the next round, where artists would have to go through the 'True White Slip-On Showdown' and public voting process. The best will be sent to the finals to compete with artists from other countries. Of course netizens responded that, IF his #KasutPenghasut didn't win the contest, they're willing to pay for it. By the look of his creation, we don’t mind paying for it. It looks simple and artsy, of course we’re willing to purchase this comfy shoes as Vans shoes are really that comfortable.